Two years ago, iRacing asked their members to help get their subscription-based online racing simulation pass Steam’s Greenlight. While that was quickly accomplished, it took a while for iRacing to actually become available on Steam but the simulation has finally made it onto the gaming platform. Being a subscription-based service, Steam users can’t simply buy iRacing but have to subscribe to a six-month package to use the title. iRacing is available on Steam here. 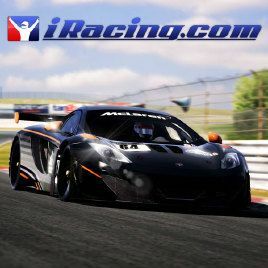 iRacing.com is the world’s premier PC-based motorsports racing simulation. An iRacing.com membership provides entry into the newest form of competitive motorsport: internet racing. Internet racing is a fun, easy, and inexpensive way for race fans, sim racers and gamers alike to enjoy the thrill of the racetrack from the comfort of their home. We are the ultimate place to go racing online. From NASCAR, to IndyCar, GRAND-AM, Aussie V-8 Supercars to sports cars and Grand Prix racing, iRacing has it all. All you need is a PC, a gaming wheel or game pad that simply plugs into the USB port of your computer and an Internet connection. iRacing organizes all of the racing for you with over 40 official series , or you can choose to host your own race or race in one of over 400 private leagues.